To celebrate the launch of Escher X nendo exhibition at the NGV, the Sofitel Melbourne has designed a very special Monocromatic High Tea experience. Update 12 February 2019 – Now available until the 29th of March 2019. 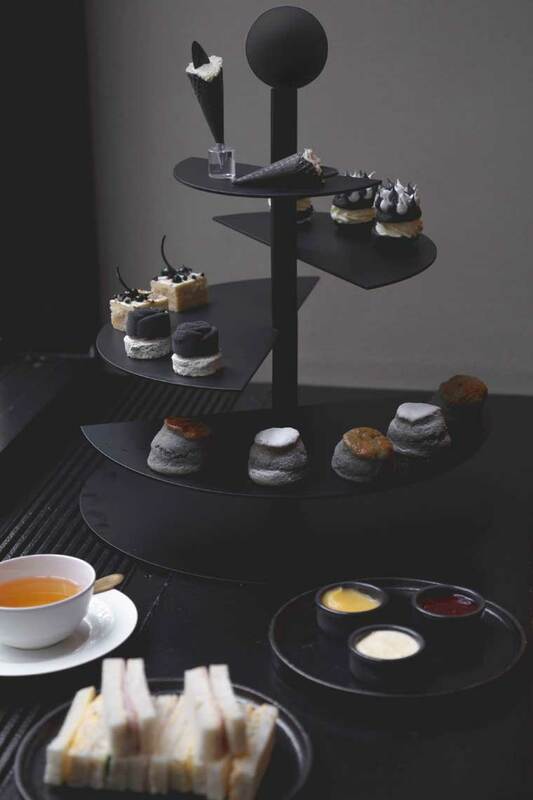 The Sofitel Melbourne’s Pastry Chef David Hann and his team have embraced the technical and inventive genius of 20th century artist Escher and drawn inspiration from one of the 21st century’s most inventive design studio’s, nendo, in their exquisite Monocromatic High Tea offering. Escher is widely acknowledged as the master of optical illusion – and Chef Hann most certainly had us “oohing” and “aahing” as we discovered our petit fours were not always what we were expecting as the insides were revealed. 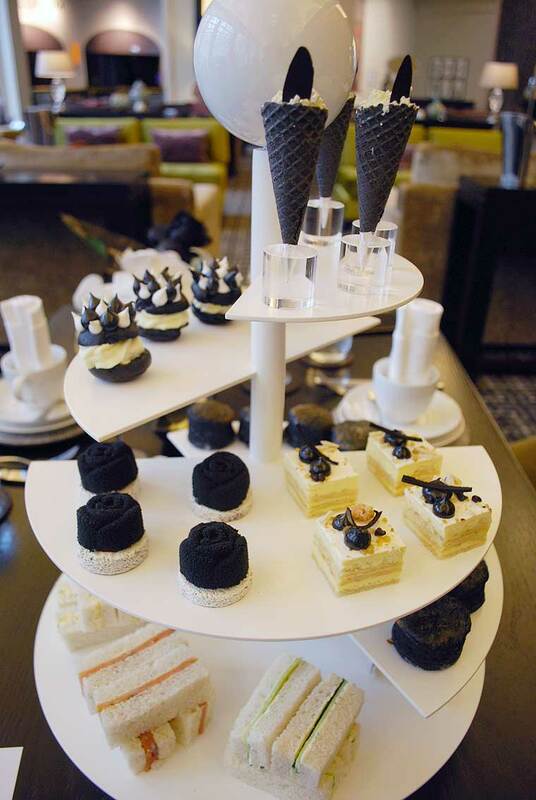 Not only was this an intriguing visual experience – our taste buds were equality tantalised… do not be fooled into thinking that this high tea is only about wow factor when it comes to it’s looks; it equally delivers in taste. What is also worth mentioning is that every component of the high tea is made on site by Chef Hann and his team. The stand outs for me were the Escher’s Black Rose (inside a raspberry sponge with blueberry jelly, rose & white chocolate mousse and hazelnut) and the charcoal scones with the house blackberry jam. To round off the experience this high tea is presented on a bespoke stand designed and made by the NGV’s exhibition team – the Sofitel Melbourne has delivered a visually stunning, and fitting, response to the NGV’s Escher X nendo! Learn more about the Escher X nendo: Monocromatic High Tea. Escher X nendo – Between Two Worlds is showing at the NGV in Melbourne between 2nd of December 2018 and 7th of April 2019. Tickets can be purchased online or via the Sofitel Melbourne concierge. Sofitel Melbourne is the NGV’s tourism partner.